Gibecière Bundle! $979 postpaid WORLDWIDE! A complete file of our flagship journal Gibecière at one unbelievably low price of $979 postpaid worldwide! Issue 26 of our Flagship Journal, now available! Gibecière Bundle! $879 postpaid in the U.S!! 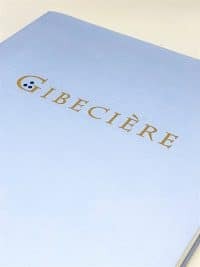 A complete file of our flagship journal Gibecière at one unbelievably low price of $879 postpaid anywhere in the U.S. Save $357.25! Super Deal Erdnase (Gold) Membership and ALL Gibecières only $1299 Postage paid Worldwide! A complete file (postpaid worldwide) of our excellent journal coupled with an Erdnase membership including Gold level Ask Alexander access, (including the next two issues of Gibecière)…all for one exceptionally discounted price! 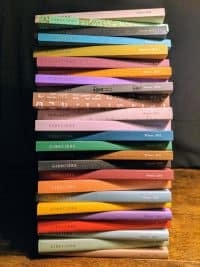 A complete file (postpaid worldwide) of our excellent journal coupled with a Hofzinser membership including Silver level Ask Alexander access, (including the next two issues of Gibecière)…all for one exceptionally discounted price! A complete file (postpaid in the USA) of our excellent journal coupled with A Charlier membership including Bronze level Ask Alexander access, (including the next two issues of Gibecière)…all for one exceptionally discounted price! Issue 25 of our Flagship Journal. Issue 24 of our Flagship Journal.